Tribal Tattoos were some of the earliest tattoos in human history. 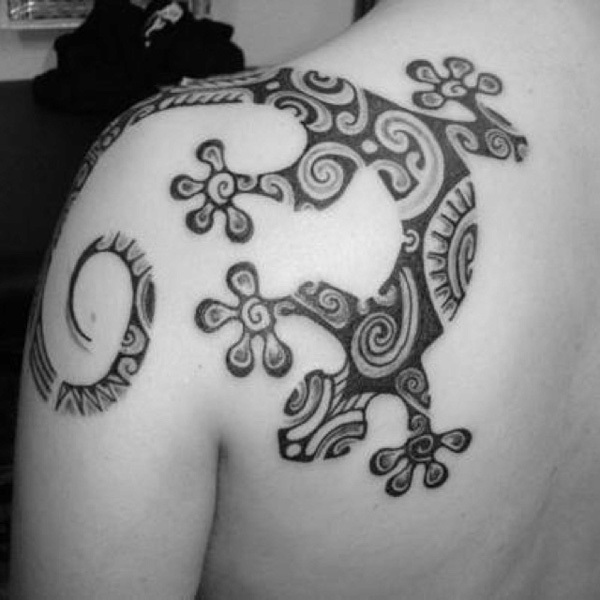 In ancient times, tattoos were a functional art form, used to mark tribe membership. In fact, the word tattoo comes from the Polynesian word tatau, which means ‘to mark something.’ These tattoos were also important in ancient medicinal and spiritual rituals, thought to offer unique healing benefits to tribe members. Bold in design, these tattoos portray varied aspects of tribal life, and often depict animals, nature, or deities central to the tribe. Browse through the list below, and learn more about the meanings behind these special tribal tattoo designs. 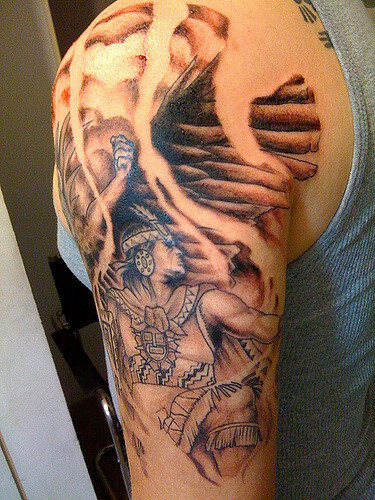 Aztec Warrior: a symbol that depicts a heavily-armored warrior god. He represents power, strength, and courage- important traits for warfare. Borneo Dog “Aso”: a dog with a dragon-like body, a significant hunting symbol. These dogs have ambiguous origins, and they freely roam. When they enter someone else’s territory, no one is allowed to shoot them. 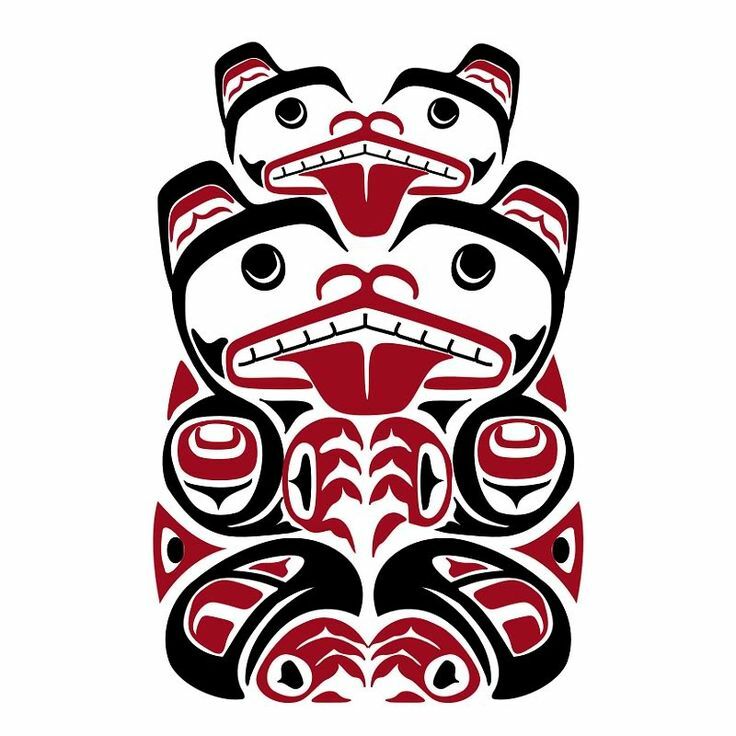 Haida Bear: a symbol of strength, vitality, and family. This tattoo was thought to bring out a bear’s unique strengths in the person who received the tattoo. Hawaiian Gecko: a symbol of the green gecko, which was believed to have supernatural powers, bringing illness and bad fortune to anyone who came into contact with it. 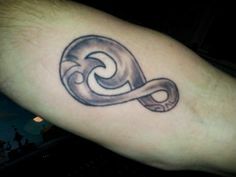 Maori Pikorua: a symbol which represents the fusing together of two separate things, e.g. two rivers fusing into one ocean. 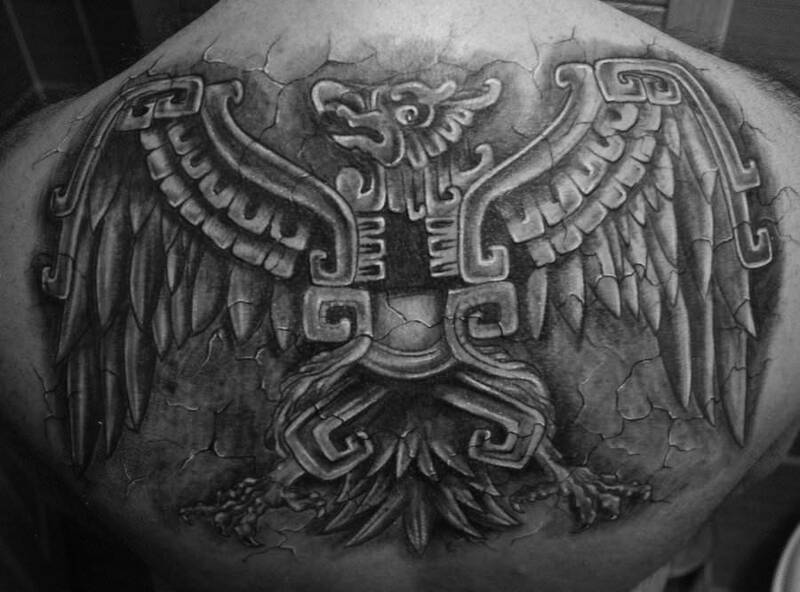 Mayan Totem Eagle: a symbol of an eagle’s profile, with spread wings. It represents power, foresight, and ferocity. Native Indian Circle Symbols: four simple circle symbols, each representing one of the four elements. These also represent the cycling seasons, and the cycle of birth and death. 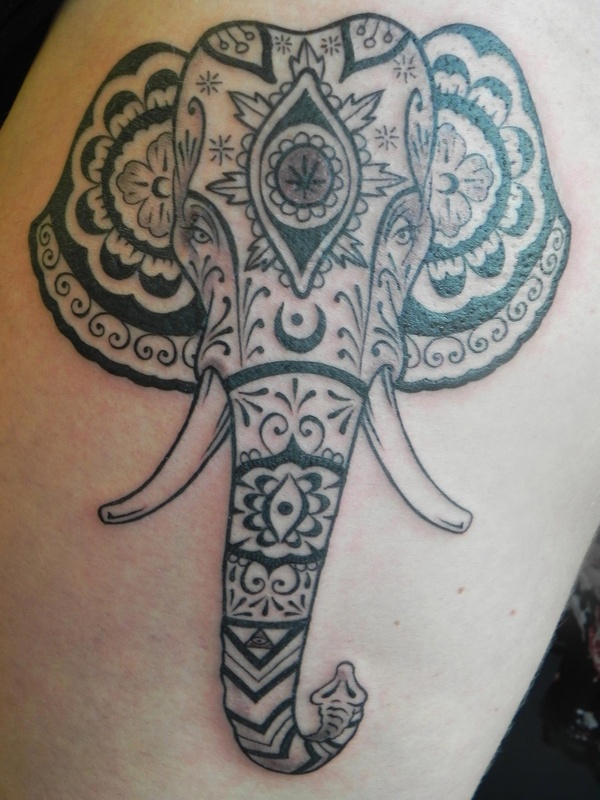 Polynesian Elephant: an intricately designed elephant. This represents a connection to nature, and stands as a symbol of strength, simplicity, and humanity. 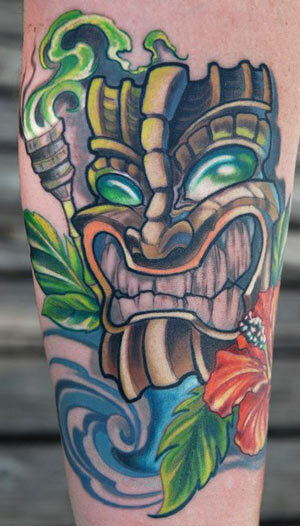 Tiki: a semi-god that represents protection in Polynesian culture. This design has organs for facial features and two distinct face halves. If you’re interested in sporting a tattoo the way ancients did, check out some of these eye-catching designs. |a. A stylised dog’s head |b. Two dog heads sharing one eye |c. A derivative of motif in Fig b, |d. A decorative version of the dog, derivative of Fig a. All sketches by Dr. A. W. Nieuwenhuis, 1904. 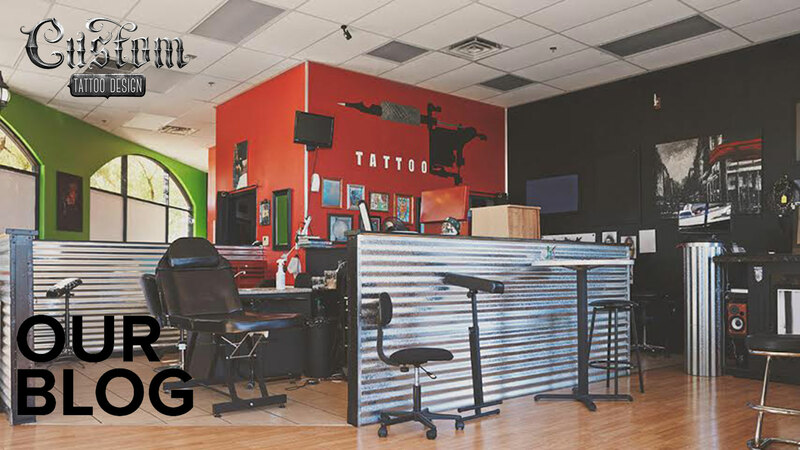 Start your own custom tattoo design with one or more of these tribal tattoo symbols and feel the history and power these symbols embody.